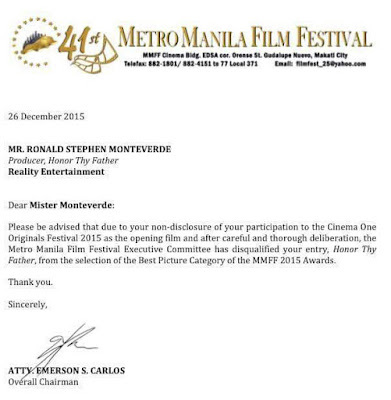 MMFF 2015 Awards Night is happening this evening, December 27, and don't expect the entry 'Honor Thy Father' to be one of the Festival Best Picture nominees. 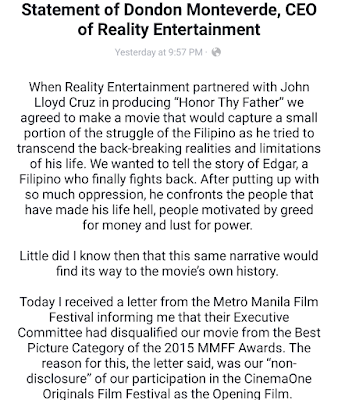 That's because the Festival Commitee has already disqualified just yesterday Reality Entertainment's entry 'Honor Thy Father' from getting a Best Picture nomination during the Gabi ng Parangal later tonight. 'Honor Thy Father' stars John Lloyd Cruz and is directed by Erik Matti. 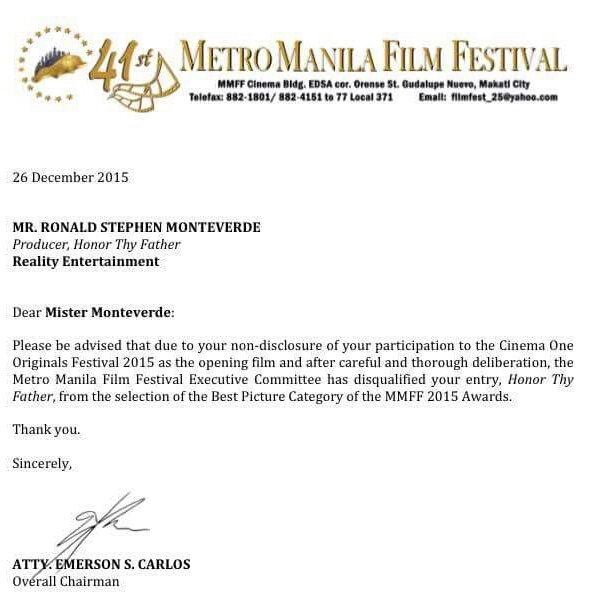 It may not be one of the Metro Manila Film Festival 2015 top grossers (it's currently in the Bottom 2), but it could possibly reap many honors during the Awards night later, including Best Actor for John Lloyd, but not anymore the Best Picture. Why? 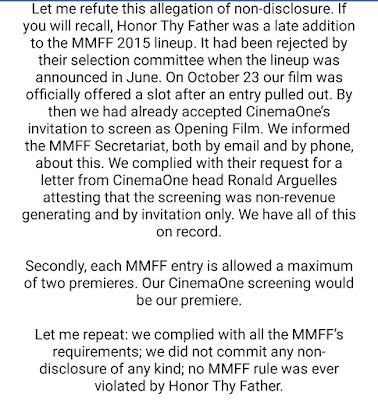 MMFF festival committee has made a controversial decision to disqualify 'Honor Thy Father' for its failure to disclose about being the opening film during last month's Cinema One Originals 2015 film festival. 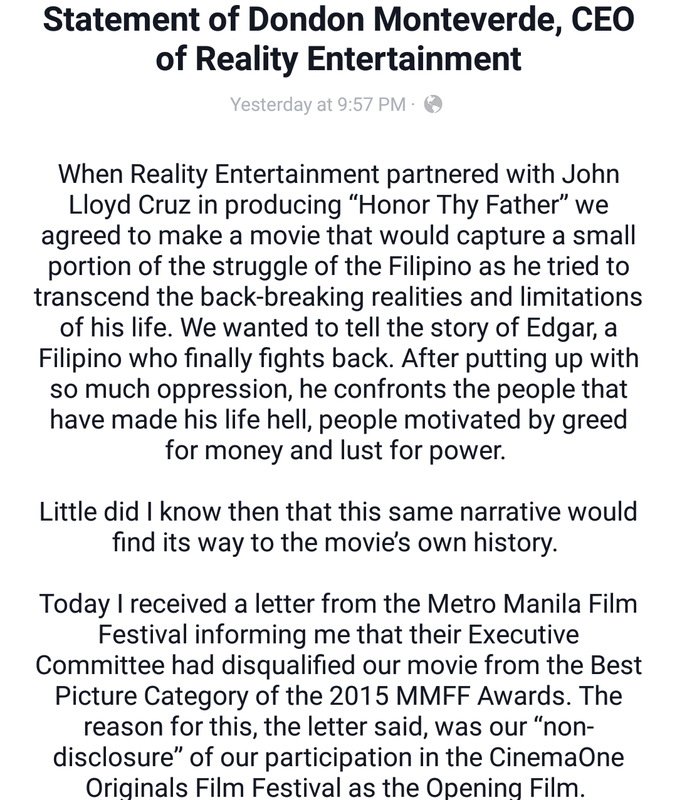 READ the letter sent to Reality Entertainment, the film producer! 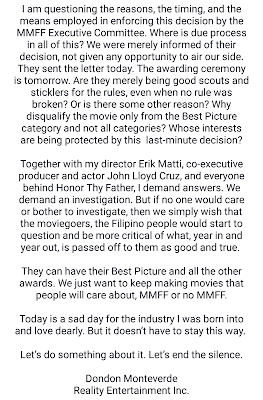 Posted via Facebook, producer Dondon Monteverde has released his official statement regarding the disqualification from the Best Picture category of 'Honor Thy Father". 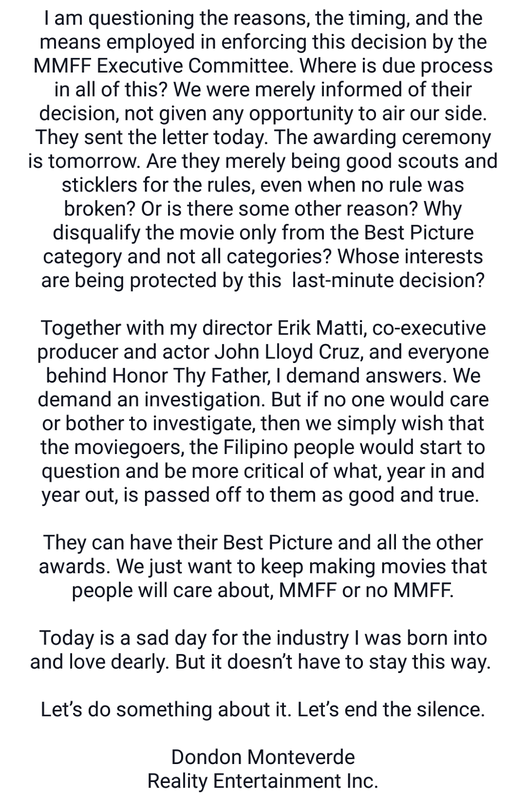 First, the ticket swapping, (READ: MMFF 2015: Box Office Results for Opening Day, Ticket Swapping controversy and now, another controversy. It's turning out to be a Festivalserye full of twist and surprises. 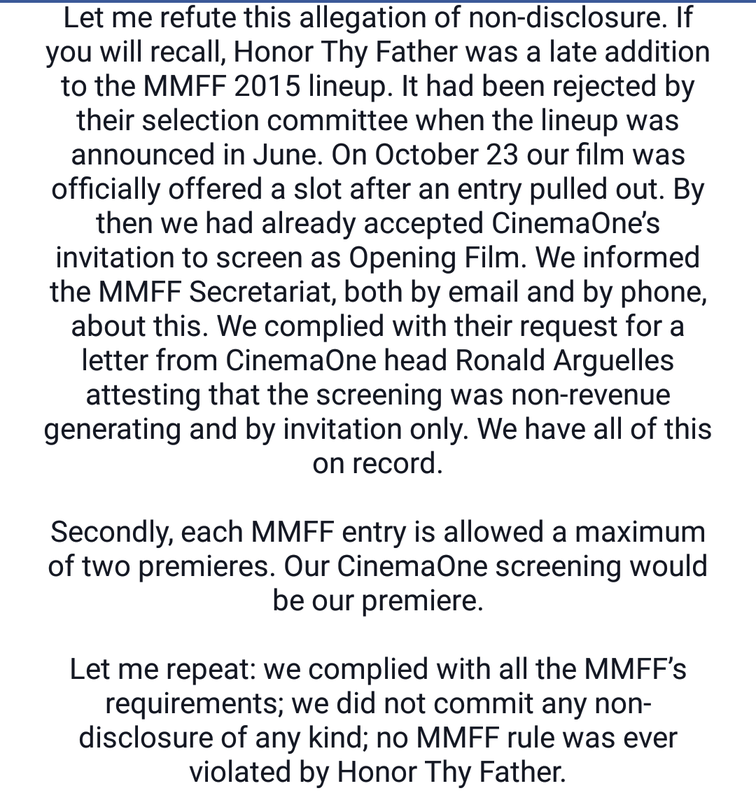 It's also making everyone wonder why the decision by the festival committee was made a night before the Gabi ng Parangal. Are they favoring one particular film and they want it to be one of the Top 3 Best Picture, so they removed the frontrunner? 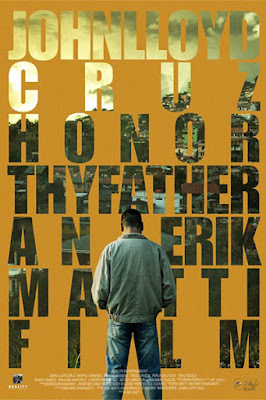 'Honor Thy Father' was Graded A by the Cinema Evaluation Board, and it would have been a possible Best Picture winner.